Federal Motor Carrier Safety Administration (FMCSA) regulations 49 C.F.R. 383.73 and New Jersey regulations N.J.A.C. 13:21-23.28(l) require all Commercial Driver License (CDL) holders to submit a CDL Holder Self-Certification form (view sample) and a valid (non-expired) Medical Examiner Certificate (MEC), if required. If a federal medical variance has been issued, a CDL holder will need to submit a copy of the variance along with a MEC to the Motor Vehicle Commission (MVC). The CDSC-1 CDL Holder Self-Certification form is available for download or at a motor vehicle agency . CDL Holder Self-Certification form and MEC (if required) is required for, initial, first-time NJ CDL applicants obtaining a Commercial Learner’s Permit, transferring in from out of state, and upon renewal of your CDL. Carefully review the commerce categories listed on the CDL Holder Self-Certification form and choose the category that best fits your type of driving. New Jersey regulations require all passenger (P) or passenger/school bus (P/S) endorsement holders to submit a MEC to the MVC regardless of the type of commerce in which they operate. 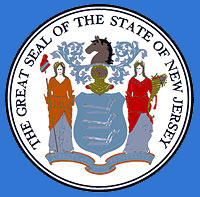 CDL drivers listed as non-excepted interstate, (category 1) or non-excepted intrastate (within NJ only), (category 3) must submit a valid (non-expired), fully completed, legible MEC. CDL drivers under 21 years of age are only allowed to operate in intra-state (within NJ only) commerce and must select commerce category 3 or 4. CDL drivers who meet the excepted interstate, (category 2) or excepted intrastate (within NJ only), (category 4) requirements will only need to submit the CDL Holder Self-Certification form and are not required to submit a MEC or variance unless you maintain a P or P/S endorsement. Failure to submit a signed self-certification form will result in the decertification and downgrade of the CDL license and you will not be legally permitted to operate a Commercial Motor Vehicle. Medical examinations performed on or after May 21, 2014, must be completed by a federally certified Medical Examiner. Please visit the National Registry of Certified Medical Examiners to locate a federally certified Medical Examiner near you. To avoid licensing transaction delays, all data fields on the MEC must be fully completed and legible. An incomplete, expired or illegible MEC will be rejected. Failure to submit a valid, federally certified MEC or variance will result in the decertification and downgrade of your CDL license and you will not be legally permitted to operate a Commercial Motor Vehicle. Please visit a motor vehicle agency to downgrade to a basic driver license if you no longer wish to maintain your CDL privilege. If you have any questions, please contact the MVC's CDL Unit at 609-292-7500 ext. 5077 for assistance.